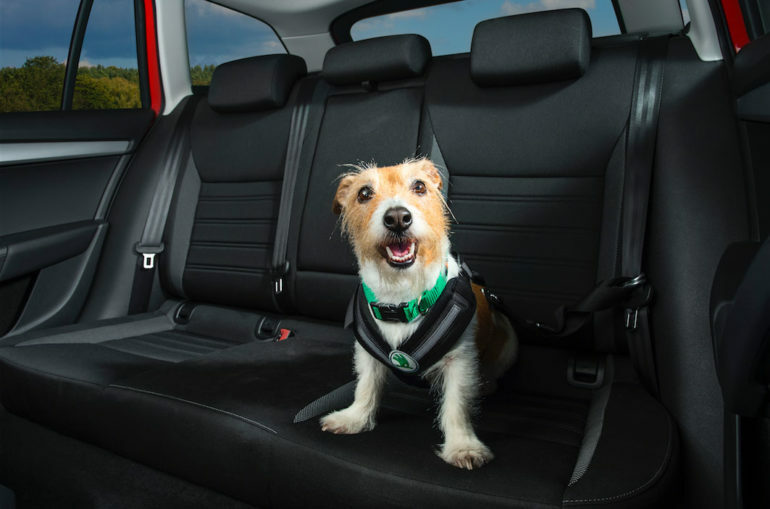 In the midst of a heatwave, car manufacturer Skoda is reminding dog-owning drivers of the dangers of keeping their pooches in hot cars. Unsurprisingly the very hot and dry conditions in the UK this July have led to a surge in calls to the RSPCA. Over the last month the charity has received 2,835 calls from concerned members of the public and many of these have related to dogs being left in cars. Skoda points out that even in 22-degree temperatures a car can reach a much hotter 47 degrees Celsius in under an hour. This can be fatal to dogs even in short periods, and the mercury has been hitting 30 degrees on several occasions this summer. To help raise awareness, Skoda has started a campaign featuring photos of RSPCA rescue dogs with their cars to show owners that they should not leave a dog alone in a vehicle. Even whilst driving, Skoda advises to keep windows open or to use air conditioning to keep temperatures down. RSPCA dog welfare expert Lisa Richards said: “Our pet dogs are part of the family so it’s great that so many families choose to take their canine companion with them on holiday and for days out.